Deb’s Smitten Kitchen blog is one of my favorites. It’s fun to read, the recipes are inspiring, and the photos are outstanding. 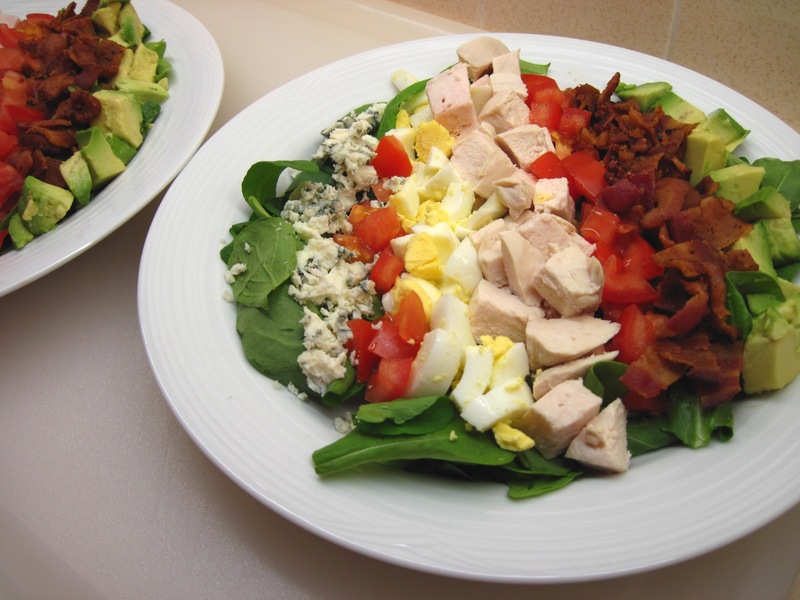 I’m sure it was Deb’s post about Classic Cobb Salad that inspired me to make my own version of Cobb Salad. It was probably what inspired me to make Steeped Chicken so I would have perfectly cooked chicken for the salad. Deb used the classic greens: iceberg lettuce, Romaine lettuce, and watercress. Well, watercress was not available at my store, and the iceberg looked pathetic. I could have gotten Romaine, but I decided to go with arugula. I love arugula, it looked fresh, and I knew it could hold its own with all of the other flavors. It worked for me! So here is my not-so-classic Cobb Salad. Whisk the vinegar, mustard and salt together in a bowl. Slowly drizzle the olive oil into the vinegar mixture while whisking constantly. Divide the arugula between two plates. Divide the remaining ingredients between the two plates, arranging them in rows. Drizzle the dressing over the salads and serve. This salad looks almost too beautiful to eat! As an admirer of your gorgeous and creative photos, I am extremely flattered, Greg! I have learned a lot about presentation from the photos in sippitysup. 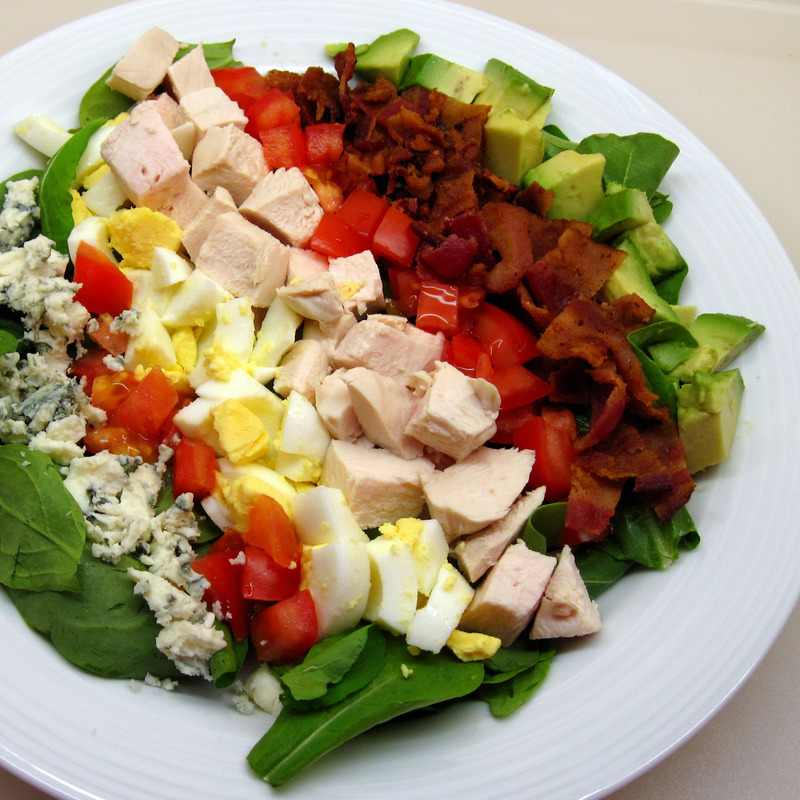 Cobb Salad is my absolute favorite!! It looks even better with arugula! I think it has all my Favorited salad topping on one plate.